A few years ago, I used to regularly review the book I was reading in my blog posts. I don't really dedicate entire posts to books anymore, but I still keep a running log of my opinion about the books I read on the Book Review page. Pick it up. Read it. Think about it. Take it all in. Let it change your life. I'll include the description from the back of the book to inform you, in short, what it's about. But I will say that it is so much more than this description. "On a balmy Tuesday during the summer after ninth grade, a car accident on a rain-slicked highway flipped Janna's safe and happy world upside down, and her adolescence dissolved into a summer of restraining belts, feeding tubes, therapy schedules, and chicken salad sandwiches from the hospital cafeteria. Since that day, Janna's life has been a navigation through the inescapable struggles of her father's brain injury, a study of her mother's resilience and unconditional love, and a challenge to find her own identity and acceptance as an adult." "Brain injury is insidious. It's tricky and tiresome. For those asked to love and support a TBI [traumatic brain injury] survivor, the struggles are deeply personal and often unresolved, and the victim's recovery is repeatedly thwarted by insurmountable obstacles, along with the battles fought with insurance companies for proper patient care and effective treatment." "Janna Leyde's coming-of-age memoir encompasses the acute and lasting effects of TBI on both survivors and their loved ones. 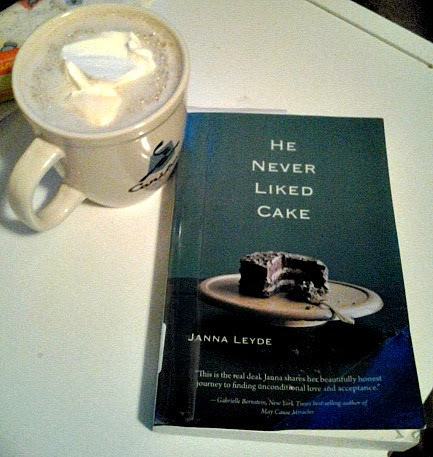 He Never Liked Cake is for families who fight for the new normal, for survivors who fail to see how life is different, and, for everyone, this is a story about how to embrace life when it doesn't work out the way we had it planned." It is more than just a story about brain injury. It's a story about finding yourself as an adult, separate from your childhood and your family. About the struggle of knowing what to do with your life and how to go about getting to that point. While reading the book, I was amazed at Janna's vulnerability and ease with writing her story, even the parts that are uncomfortable. Her peace with her story of how one moment in time, one accident that happened to her father when she was 14, has reshaped her entire life and every aspect of where she has come since then. Her honesty with writing about not only the happy parts of her life, but about her struggles as a twenty-something. Struggles that are universal. Maybe life didn't go in the direction she thought it would as a young 14 year old girl, but, despite that, she's made it work. Whatever that means. Note: This video is from August 2012, before the book was released. I don't personally know anyone with a TBI. I don't personally know the experience that families go through. I am a nurse. I have seen patients with a spectrum of cognitive issues and problems caused by brain tumors, surgeries, or accidents. And if I'm being honest, that's why I decided to read this book initially. I am a voracious reader of all things related to medicine. But, not even three chapters in, and I found I was reading this book for an entirely different reason. Despite never having been surrounded by a TBI, I felt like Janna was writing exactly what I needed to hear, exactly what some of my experiences were like as a child, teen, and adult. You know how sometimes you feel or experience something, but just can't verbalize it? Can't find the right words to explain what you want to be known. I don't know; maybe that's part of the reason I'm a blogger. I can word vomit all over the page and go back and re-read it. I felt like Janna was reaching into my head, knowing exactly how I would want to write about something, and putting it down on paper for me. I found myself copying down excerpts from the book that really spoke to me. "...But I didn't want material gifts anymore. I wanted people to wrap up boyfriends, careers, or life plans and set them under my Christmas tree or beside my melting ice cream cake. It was easy and rather amusing to want things no one could give." "No one had told me that Wittenberg [University] was a drug. When I came home, I came down. Within days, I was wracked with emotions that I could neither define nor control. I'd been away for so long that I'd forgotten what I was coming home to." 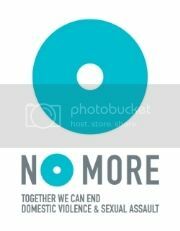 "I was breaking, feeling a loss lonelier than losing first one parent to an accident and then the other to the caretaking. I was crumbling, stuck in my own apartment, dwelling on how to carve out accomplishment from a mess of apathy and over-expectation." "There are very few things I have a decidedly hard time with, but relaxing was fast becoming one of them. I had no clue how to do it. I couldn't accept that something could be positive or trust the future, trust that things simply pan out more often than not. It was easier to worry about the inevitable, because life was either not going to go my way or was going to go exactly my way and subsequently crash and burn. That's how I knew it -- lose-lose. Here I was in my late twenties, and all my fears were surfacing violently. I was changing who I was, denying that I was weathering an emotional tempest. I was determined to ride it out while no one was watching. I kept telling myself I could handle anything, that I already had." I don't pretend to know what having a parent with a TBI is like. I don't pretend to know what having a parent around, yet "not there" is like. I don't pretend to know what being in my late twenties in New York City is like. I do know what it's like to have a pretty great childhood and to have that all change because of a few moments in time. I do know what not having a parent there is like. I do know what being a college graduate, 25, jobless, and living at home in Minnesota is like. I do know what it's like when life doesn't quite turn out like you had planned as a teenager or even a college student. Maybe this is just pointless rambling. Maybe you stopped reading three paragraphs ago. Maybe I should start doing yoga. It would fit it with my 30 before 30 goal of adapting something of a healthy lifestyle. They say it makes you feel better and more mindful. Thank you for writing this book. Thank you for putting into words exactly what I feel. Thank you for writing out your experiences and sharing them - letting me know I'm not the only one that has gone through them. Janna Leyde is a writer and certified yoga teacher. She is a regular contributor to health and wellness-focused blogs and magazines, such as Men's Fitness, Everyday with Rachael Ray, and Real Health. She has a master's in journalism from New York University. She grew up near Pittsburgh, Pennsylvania and recently moved back there after almost a decade in New York. He Never Like Cake is her first book. Look out for her second, Yoga for Brain Injury: Move Feel Think, in 2014. All opinions represented in this post are my own. Grammarly is a free online grammar and plagiarism checker. I was compensated in exchange for participation in their Blogger Partnership Program. Well, ordering this on Amazon now. It would be kind of crazy not to after this review! I'll definitely have to add it to my list! Thank you so much for sharing this with your friends and followers! I can't even express how much you get why I wrote this book and why it is (and it isn't about brain injury). 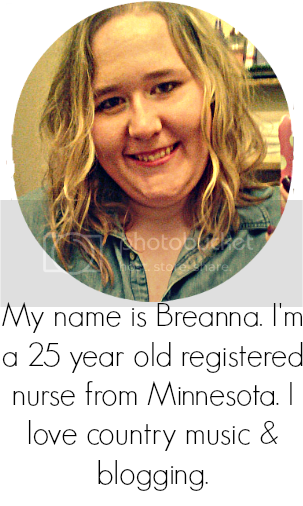 Just a huge giant thank you, Breanna!